New Jersey’s reputation as a basketball hotbed speaks for itself and the prestigious McDonald’s All-Amercan Game has taken notice. Three NJ boys and an NJ girl are heading to Atlanta to compete in the premiere All-Star game on March 27! JSZ has highlight reels of the newest McDonald’s All-Americans. The McDonald’s All-American high school basketball game has become one of the most prestigious invites a player can receive. With an alumni list littered with current and past NBA and WNBA superstars, there are just 24 spots reserved for the very best from high school basketball. For the second straight year, New Jersey has three selections for the boys game. 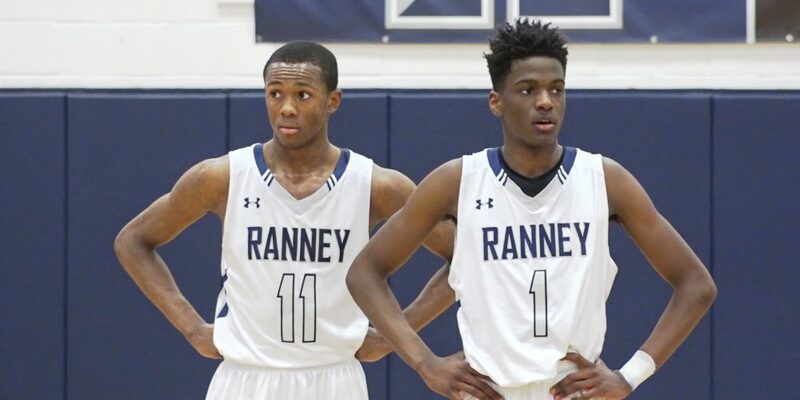 The Ranney duo of Scottie Lewis (Florida) and Bryan Antoine (Villanova) were selected along with fellow five star recruit Kahlil Whitney (Kentucky) from Roselle Catholic. On the girls side, Franklin’s Diamond Miller (Maryland) is the lone representative from the Garden State. Lewis is part of the East roster, while Antoine and Whitney will play together on the West squad. One of the best scorers in New Jersey hoops history, Antoine is currently closing in on becoming the Shore Conference’s all-time leading scorer. He is signed, sealed and delivered to play in Philadelphia for Jay Wright and the Villanova Wildcats. The future Florida Gator has seen his already high profile skyrocket following a sensational 26 point performance on national television in Ranney’s 73-63 win over Federal Way (WA) in the Hoophall Classic in Springfield. Whitney is regarded across the board as a top-10 national player and the future Kentucky Wildcat has shown that the hype is real. Like Antoine and Lewis, Whitney is projected as a lottery pick in the 2020 NBA Draft. In addition to the Ranney duo and Whitney, another player with New Jersey ties is on the McDonald’s All-American list. Precious Achiuwa, who played last season for St. Benedict’s Prep and is now at Monteverde in Florida will play on the East roster alongside Lewis in Atlanta. Achiuwa is one of the top uncommitted players in the class of 2019.